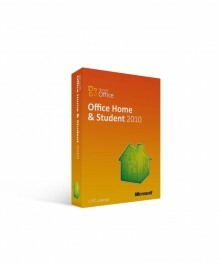 Why Buy MS Office 2010? Take the best out of your home and small business with Microsoft’s Office 2010 Home and Business International License package. 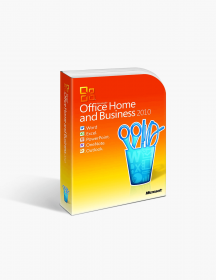 With this suite you receive Word 2010, PowerPoint 2010, Outlook 2010, Excel 2010 and OneNote 2010 which are guaranteed to help you with your working and creating. Rely upon this well-established and tested suite package to ensure efficiency and productivity for your personal and business needs. Microsoft Excel 2010 is hands down the best tool for creating data charts and tables so you are able track down budgets and track expenses more precisely. Amongst the features Excel provides is the new filter enhancement in PivotTable view that gives better control and finding and managing your data. Use Microsoft Outlook 2010 to synchronize all your email accounts and communicate with your clients. Additional improved features come with this Outlook 2010 mailing service such as enhanced Search Tool for easier navigation through your mailbox and Conversation View that allows you consolidate email conversations with a single click. With Microsoft Word 2010 creating documents and editing them with lively text effects has never been easier. Word 2010 allows you to add a better visual appeal to your files, by giving you the choice to format your text various special effects like shadow, glow, reflection or use saturation for your pictures. Use Microsoft PowerPoint 2010 to give life to your projects. Tons of ready-made presentation templates are there for you to take advantage of, but if your desire to be original and creative use one of the many video- and photo-editing tools or breath-taking animation transitions. And finally, Microsoft OneNote 2010 is the perfect place to store all your incredible and valuable resources all in one. Being able to share documents, images and notes with your co-workers or partners in-real time is a key step in any starting business. 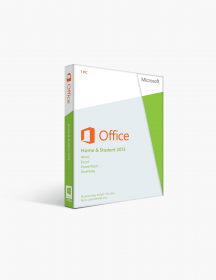 With purchasing Microsoft Office 2010 Home and Business International License you will be granted an activation key within a few clicks of a button. All the above high-quality applications and below described features will be available for you right after activating your International License, with future updates for this Office suite included as well. Improved Ribbon system – The Ribbon system is a great way to be more effective and efficient in using any of the Microsoft tools provided with this Office suite. Regardless of the application you are using, the Ribbon consists of always-on-tab that includes all relevant and recommended options and tools you can use for this specific program. There are also contextual tabs that come up only when a definite functionality is required. For example, image formatting tools will only show when you have selected an image. Image editing and visual effects – Office 2010 Home and Business International Licence is the perfect suite to make your documents look eye-catching. The Style Galleries allow the user to apply between various text, video and photo editing effects to their documents. And the best part is that a real-time update shows you the changes, before actually committing to them. 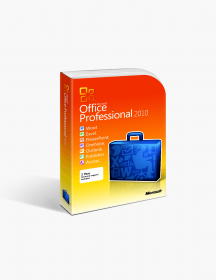 Backstage – This version of Microsoft Office also comes with an upgraded full-page document management section called Backstage. The Backstage allows the users to open, save, print, export or import their documents, without worrying about losing their data in the process. The auto-save function allows you to come back to the exact line you were, whenever you close your file by mistake. You can also set permissions to files, such as password-protected encryption, that restricts access for given users. Sharing files - There are many more features that Backstage offers, one of which is the ability to share and your documents extremely easy. Whether you are going to attach your documents to an e-mail or save them to a Web Dropbox, the document management section provides you with a bunch of options to make your task easier. Very easy to use the website / links. $94.00 | In Stock Want it Now? Order and receive your download instantly.